Born Sonny John Moore, Skrillex is prominently known as an American DJ whose skills on the turntables is vastly revered, an electro house dubstep producer, singer, and songwriter. Skrillex is estimated to be worth $45 million. Born on January 15, 1988, in the Highland Park. His parents were both Scientologists. Sonny Moore was said to be extremely spoiled by his parents who didn’t hesitate to give him all his little heart desired. He attended school to specialize in arts in his hometown but was homeschooled after one of his teachers told him he couldn’t smoke in school most especially at his age. Moore started smoking at the age of 14, and after being scolded by his teacher, his parents practically supported Moore and told the school off. They took their son and never came back. This was the reason for him being homeschooled. Moore became a fan of punk music as a teenager and started attending Mexican American and electro club raves in his neighborhood. It was during this period he contacted Matt Good online and asked to play the guitar for their band From First to Last on their debut album. This move would prove to be the starting point of his career later on. At the age of 16, after series of clues from different people, he was shocked to learn that the people he had known to be his parents all his life were not actually his biological parents. In fact, he later found out that his biological mother is a woman he has known to be a close family friend to his adoptive family. A woman who regularly came by the house to check on him on regular occasions. Moore’s adoptive parents gave him all he wanted growing up, but we guess it did a little more harm than good because he didn’t get to learn about self-denial and discipline. The news of his adoption literally made him extremely angry that he packed just a suitcase and traveled over 2000 miles to get to Georgia. In Georgia, he met studio producers McHale Butler, Derrick Thomas and Eric Dale, after which he was made the lead singer for the band and recorded two albums Dear Diary, My Teen Angst Has a Body Count under Epitaph Records in 2004 and Heroine in 2006. After the success of the band with their debut album, Skrillex’s earnings started flowing in from different tours, however, he left the band to pursue his solo career in 2007. After moving out of the band because of his vocal problems, Moore started singing for himself and uploaded his work on Myspace and went on to play with a full band under Team Sleep Tour showcasing several demo CDs that grabbed much attention among electro music fans. In 2008, after the Alternative Press Magazine second annual AP Tour, Moore released Gypsyhook EP and went on a European tour with Innerpartysystem and Paper Route and started performing under the band name Sonny the Blood Monkeys in 2009. Better known as Twipz before 2008, Moore started performing in several clubs in his hometown under the alias Skrillex and released his first debut EP, My Name is Skrillex in 2010. Later, he went on a nationwide tour together with Deadmau5 and released his second EP, Scary Monsters, and Nice Sprites at the end of the year. 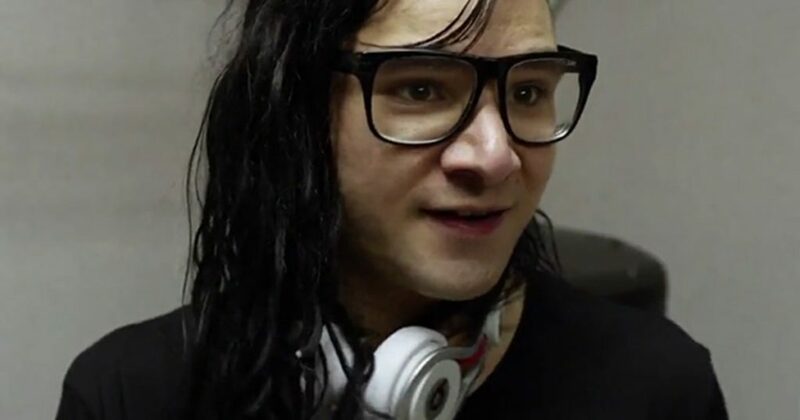 Skrillex considers himself a fan of Warp, an electronic music label that helped him bag several awards like Best Dance Recording Album for Scary Monsters and Nice Sprites in 2012, and for Bangara in 2013. His other album Make It Bun Dem made a whopping 500,000 copies sales in the first week of release and Skrillex’s net worth in 2012 was estimated to be around $16 million. The six-time Grammy Award winner’s follow-up album Recess was released in 2014 making 50 thousand sales in the first week of its release. Apart from his EP albums and remixes, Skrillex has also won an award for his music in an animated feature production, Wreck It Ralph in 2013. Skrillex was reported to be in a relationship with artist and singer Ellie Goulding from the Rolling Stones in 2012. However, the couple separated because of their long-distance relationship.